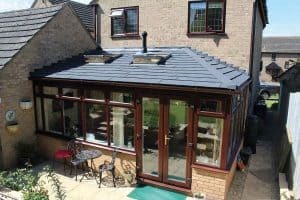 Here at Guardian Roofs we often get a lot of questions from customers regarding how they can get the most out of their conservatory and ensure that they are able to use the conservatory throughout the year – The Guardian Warm Roof answers a lot of these questions but we want to make a one-stop shop for all questions that we receive. So, here it is – our most frequently received conservatory questions. If you have any other questions that are not covered here then please get in touch with a member of the Guardian Roofs team today! How can I make my Conservatory Cooler? 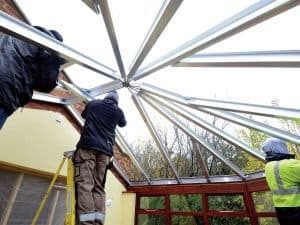 The best way to make your conservatory cooler is by investing in a solid conservatory roof that improves the thermal efficiency of conservatories and is able to reflect a large amount of heat away from the conservatory allowing for a cool conservatory. In addition to this, a fan or cooling system can also be used to reduce the temperature of your conservatory. How can I make my conservatory warmer? There are a variety of reasons as to why you should replace your conservatory roof. The main two reasons are to firstly, increase the heat retention of your conservatory in the cooler months. Secondly, improve the heat regulation ensuring that your conservatory does not get too warm during summer. 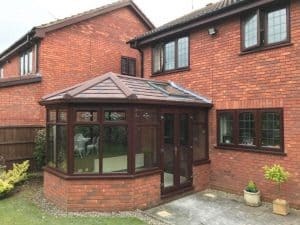 Our customers are consistently pleased with their Solid Conservatory Roofs – Prior to their new roofs, customers were unable to use their conservatory during the cooler months. Since the roof replacement, our customers are able to use conservatories throughout the year! Are Solid Conservatory Roofs Efficient? Solid Conservatory Roofs vastly exceed the efficiency that comes with traditional polycarbonate and glass conservatory roofs. 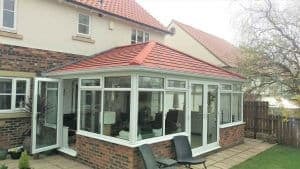 The Guardian Warm Roof which is a type of Solid Conservatory Roof is able to produce a U-Value of 0.18 and drastically increases the efficiency of your conservatory. So much so that your heating bills will reduce in the cooler months. 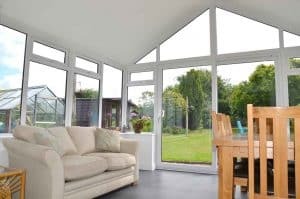 A conservatory is designed to last for extremely long periods of time – the Guardian Warm Roof comes with a 10-year insurance backed guarantee and with the right care and maintenance, you should never experience any problems with your conservatory. Problems arise when debris builds up or there is a freak weather storm. Should I clean my conservatory? 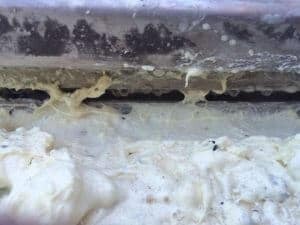 It is very important to clean your conservatory both internally and externally – Failure to clean your conservatory can result in a whole heap of problems. Any build-up of debris or waste on the roof can cause the conservatory to have too much weight. The internal and external should regularly be cleaned too as this improves the aesthetics and air quality. Why is my conservatory damp? 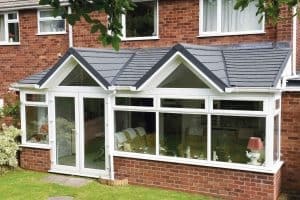 How long does a Conservatory Roof take to install? The beauty with Guardian Conservatories is that you are able to see the benefits of a new conservatory roof within 2-5 days. 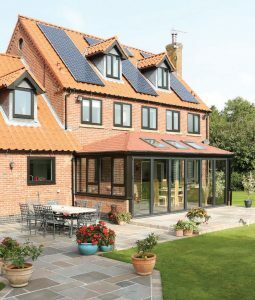 This is because the conservatory roof is prefabricated off-site to the exact specifications meaning that there is no need for any intense building to be done on site. This vastly exceeds the traditional approach to conservatory roofs. If you have any additional questions that you would like to ask a member of the Guardian Roofs team then please get in touch today and we will be happy to answer any questions that you may have!